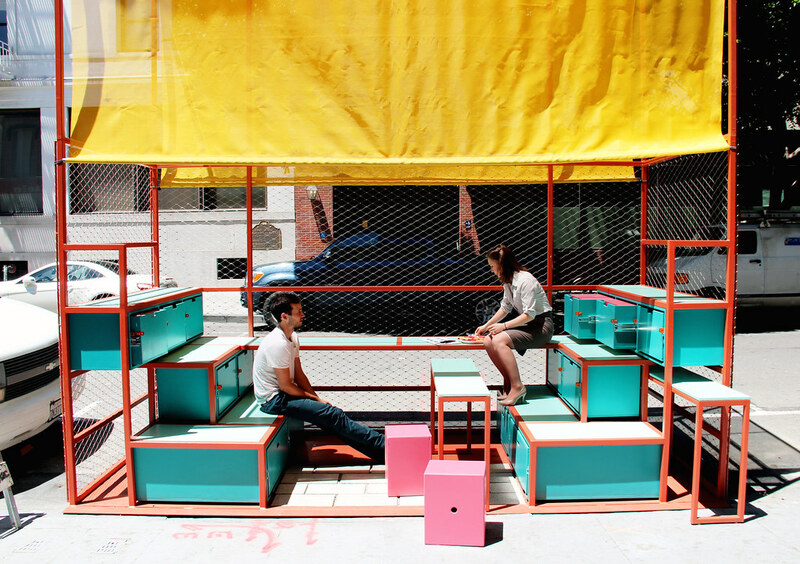 A parklet dedicated to content and conversation. 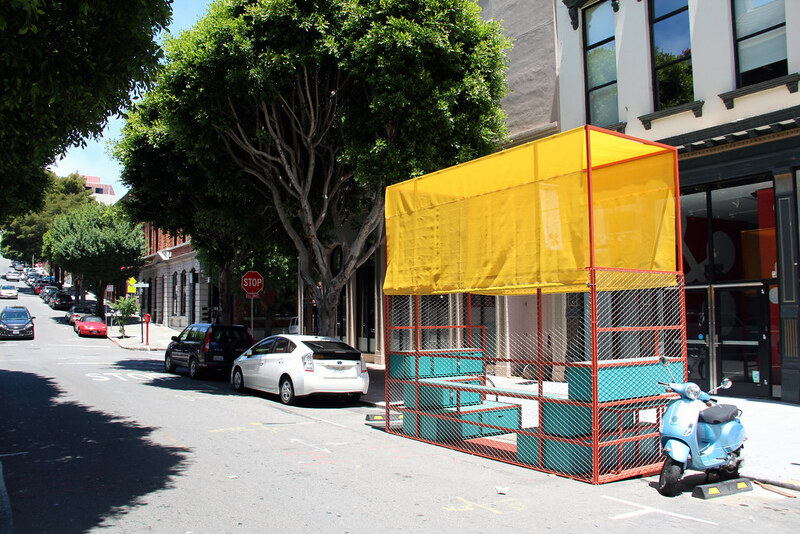 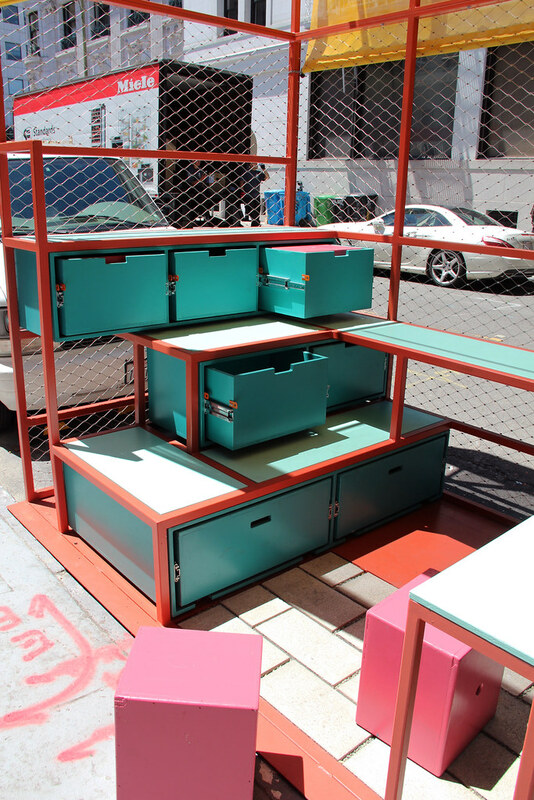 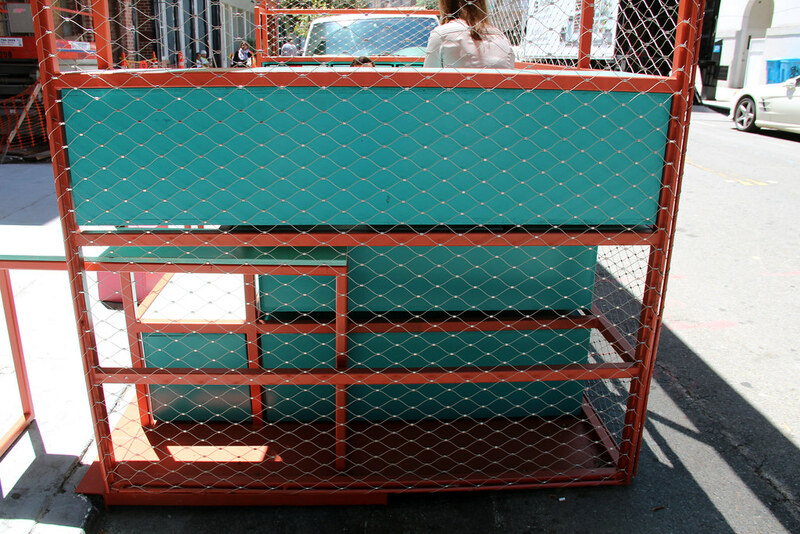 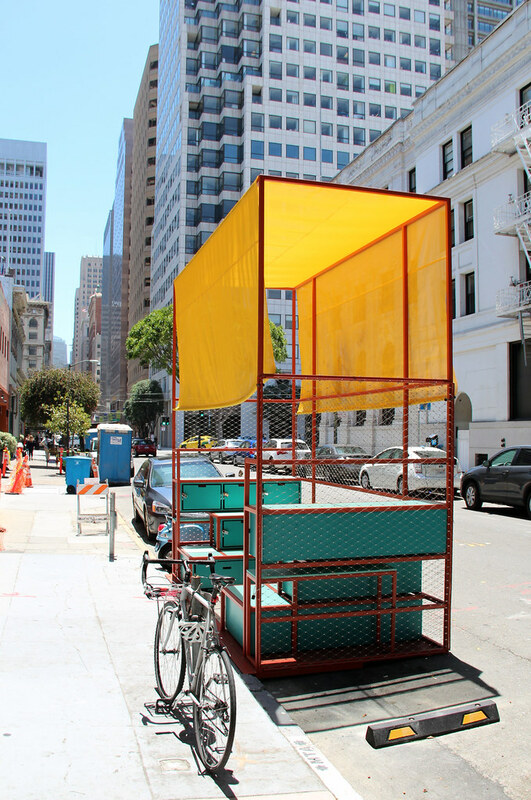 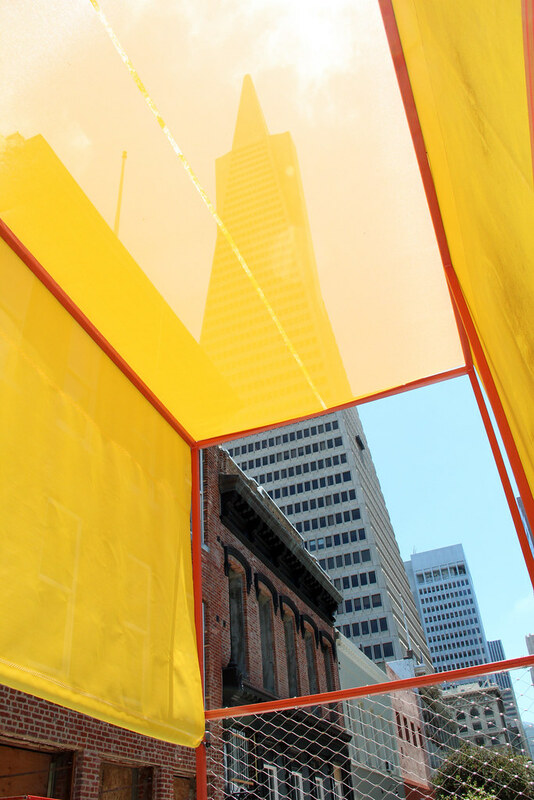 Dubbed “the event machine,” the parklet at 730 Montgomery Street was a modular stage that could readily host public talks, panel discussions, workshops, screenings, and more. 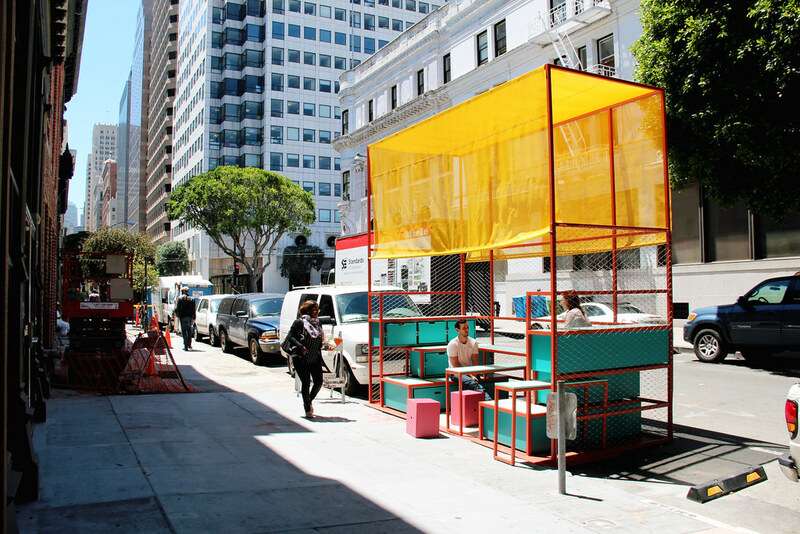 When it wasn't activated for events, the parklet offers passers-by an offbeat place to stop, sit, and enjoy the vibrant atmosphere of the Jackson Square Historic District. 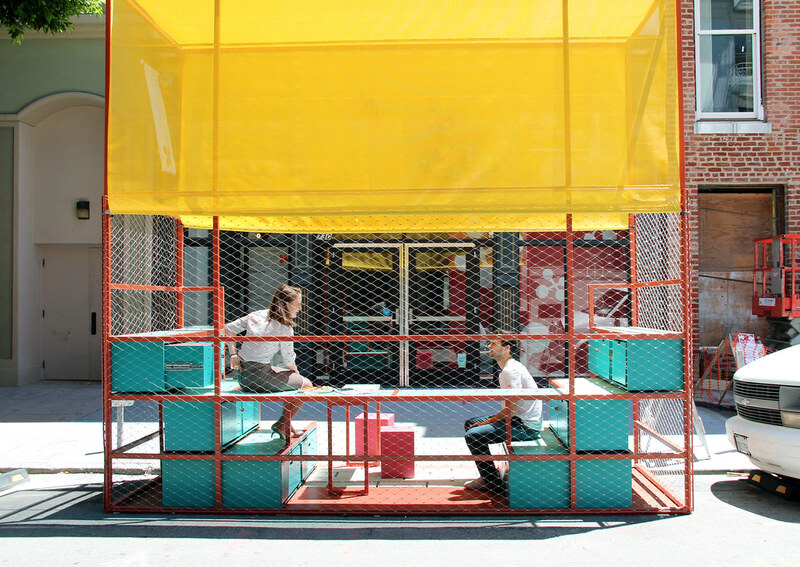 The parklet was one of few in the city dedicated to content and conversation, not café seating. 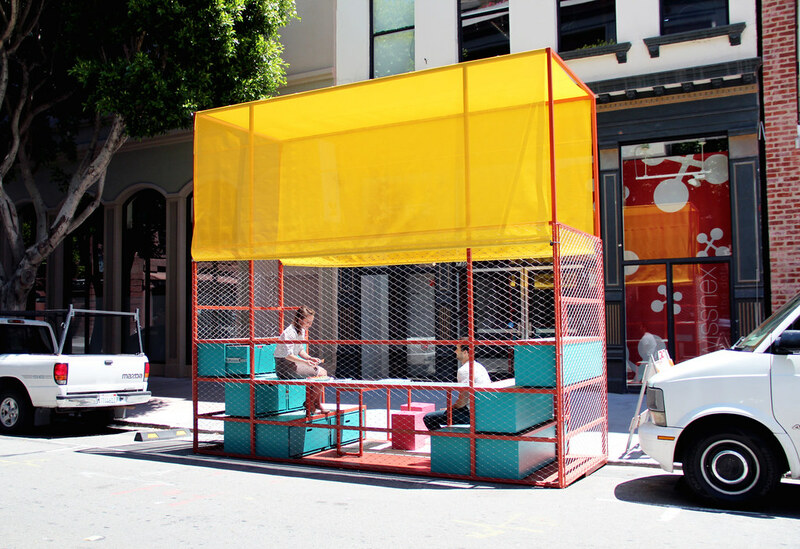 The parklet was the focus of an Urban Design Seminar class at UC Berkeley tasked with defining how best to use and program public space.